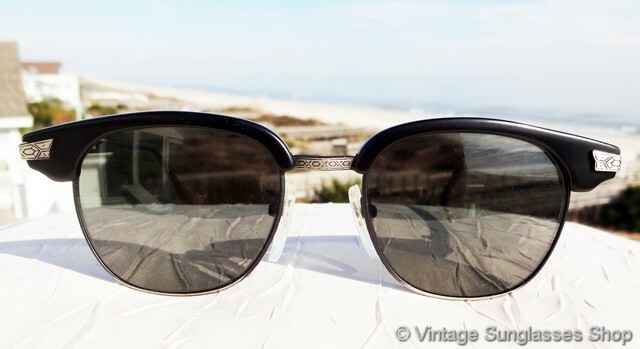 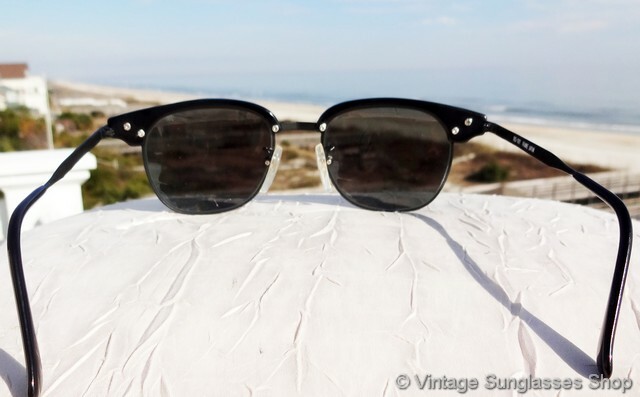 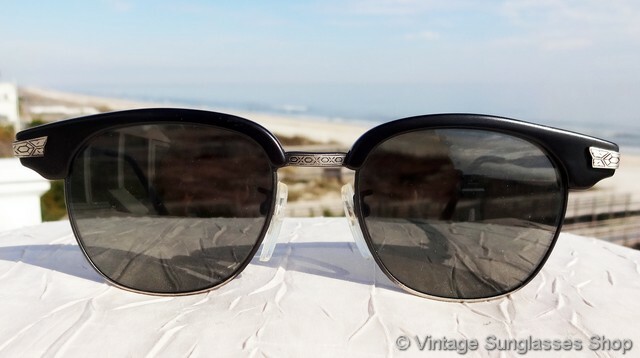 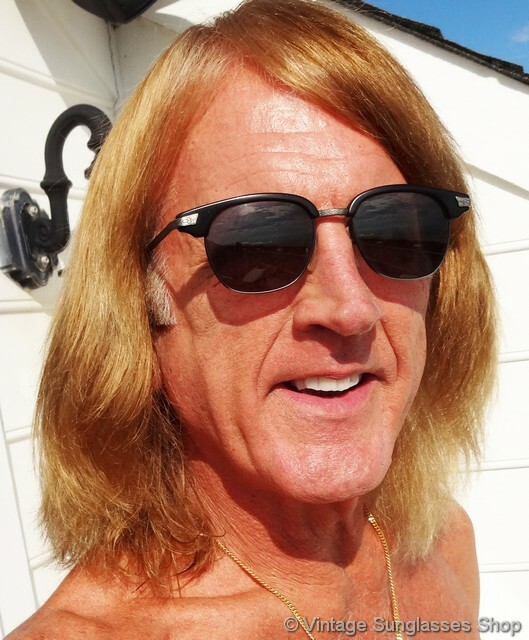 1 Vintage Revo 983 001 sunglasses feature a stylish and elegant frame reminiscent of vintage Ray-Ban Clubmaster sunglasses but with that unmistakable Revo design flair, a low production model from the Revo Traveler Collection that's sure to attract attention. 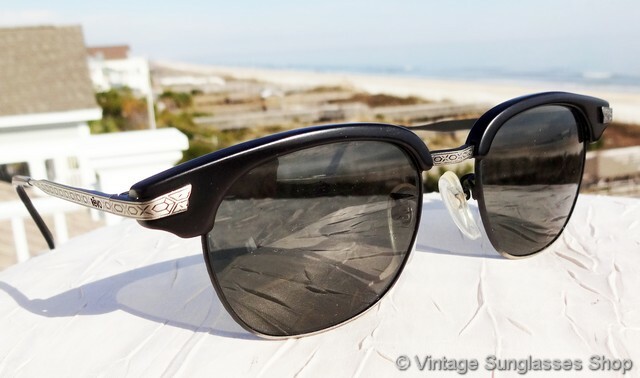 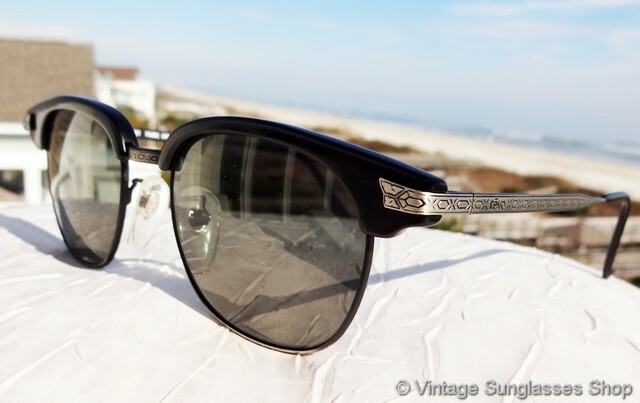 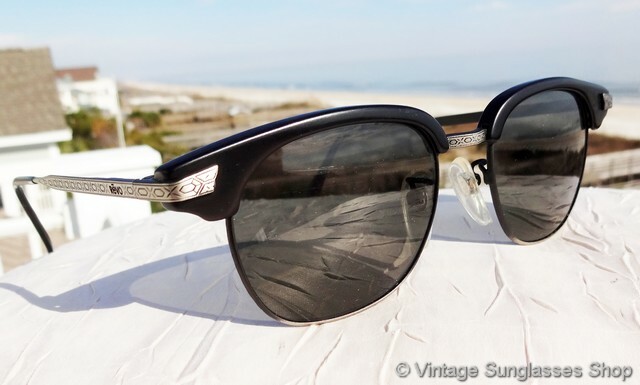 Note the intricate etching decorating metal frame around the lenses, across the nose bridge, and down each ear stem. 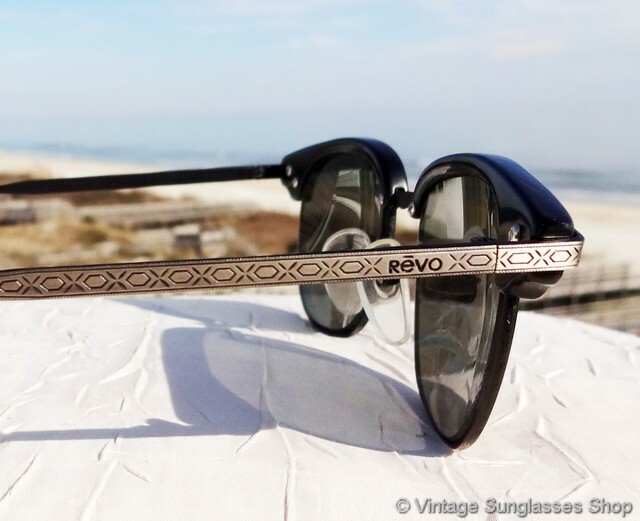 You'll find the Revo logo impressed and ntegrated into the etching on the exterior of both ear stems, and they're marked on the inside of the one stem 983 001. 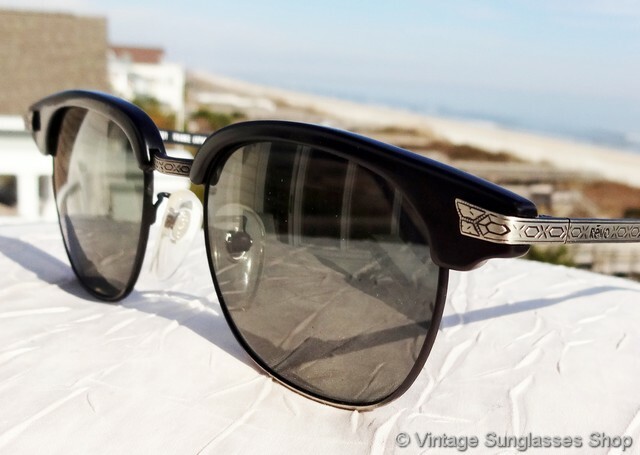 The top black ebony accent is what gives these Revo 983 sunglasses the look of Ray-Ban Clubmasters, but the elaborate etching is what really makes these Revo 983 sunglasses stand out in a crowd. 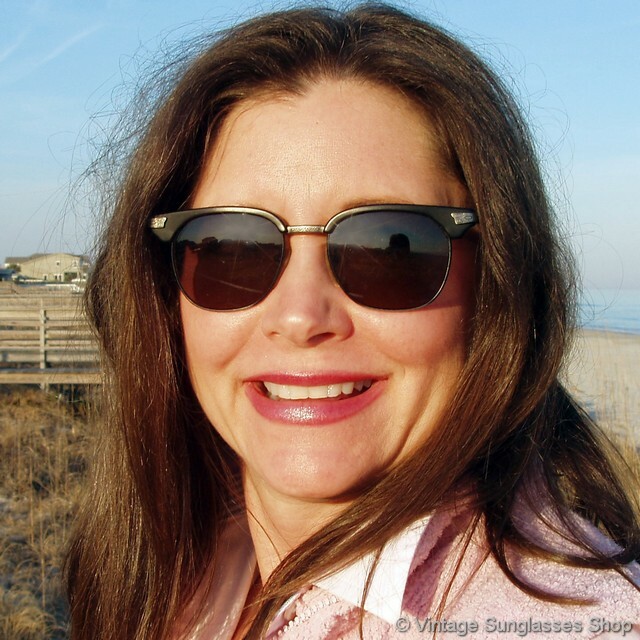 The unisex Revo 983 frame measures approximately 5.25" temple to temple, and the mineral glass lenses measure approximately 1.875" x 1.5" at the widest points. 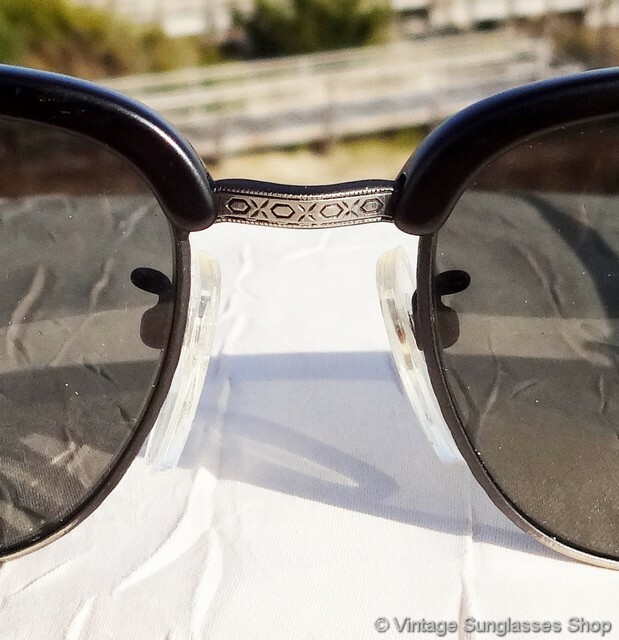 2 Step up another level beyond our already unequaled vintage condition standards with new old stock Revo 983 001 sunglasses in mint, unworn condition.